Private & Secluded ! This a great horse farm & a wonderful place to raise your family ! 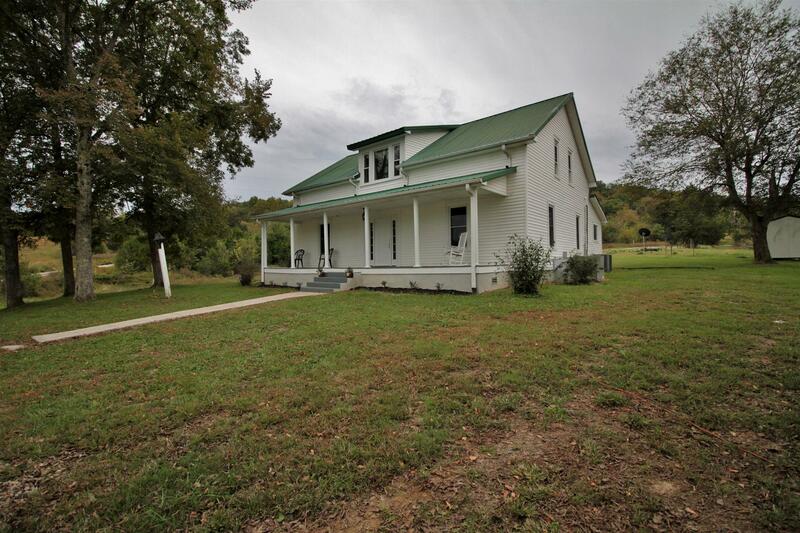 1900's renovated farmhouse on 36.64 acres (land could possibly be subdivided) w/ a 2400 sf, 3 bedrooms (flex space could be used as a 4th BR ), 2 bath, huge walk-in shower in master, replacement windows, gas stove, rocking chair front porch, covered deck w/ a nice AG pool & pool area, 4 wheeler trails, creek, 2 ponds, large barn, fenced, detached garage & 2 outbuildings.